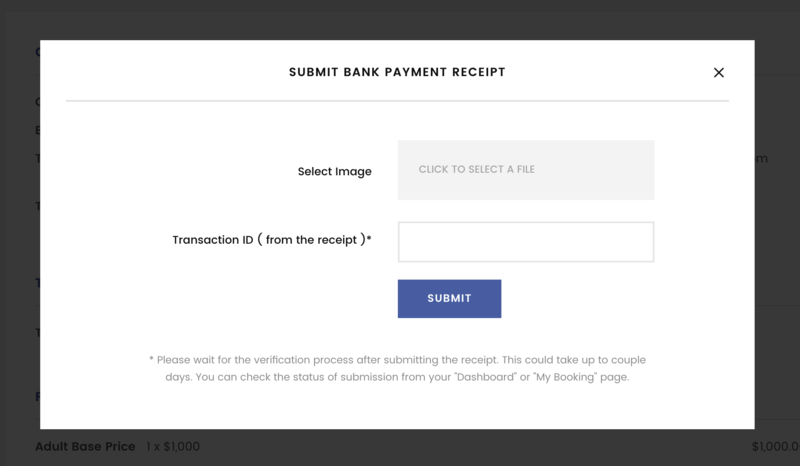 After payment processed, the system will automatically reserve your seat and the invoice will be generated in customer backend. Both customer and admin can see the transaction as ‚online paid‘ from backend and the transaction id will appear in there. To use this feature, site’s admin must allow the offline payment method eg. bank transfer. 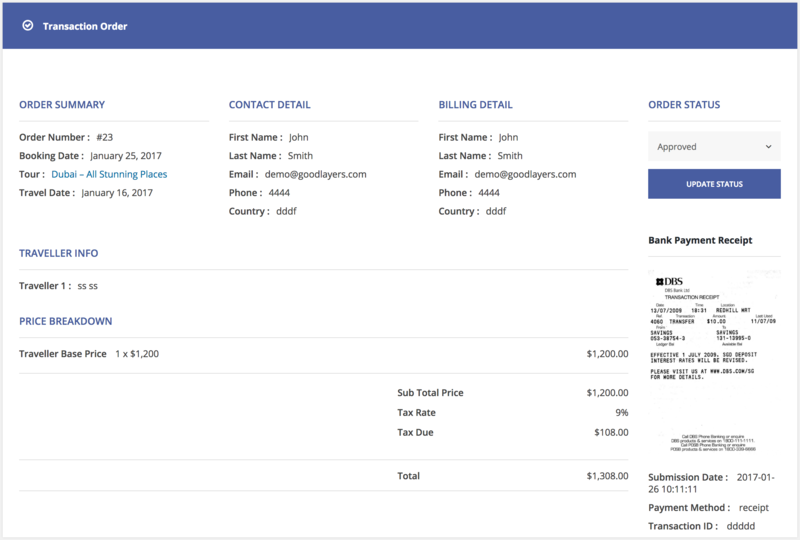 The bank information can be added in email template in theme option so customer will receive the bank information along with email notification after booking. If admin doesn’t allow this method, admin can disable the ‚Book and paylater‘ button from theme option. 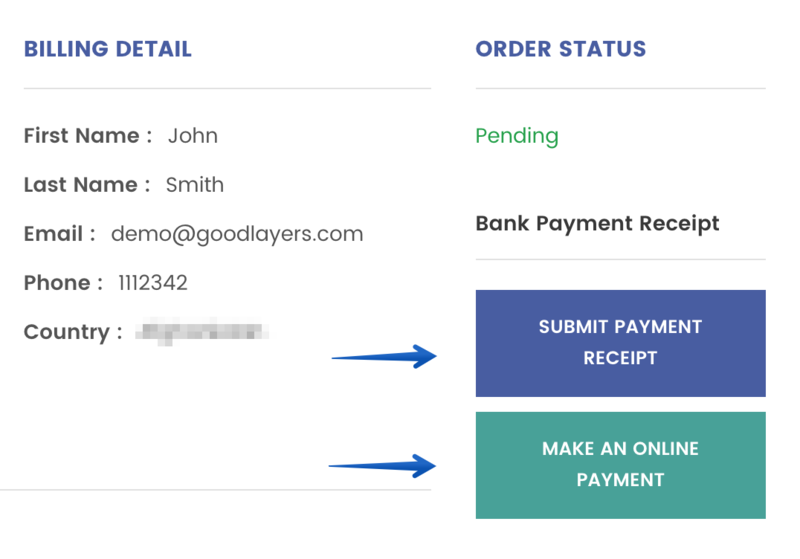 When customer clicks on ‚Book and pay later‘ button, the transaction will be appeared in both admin and customer backend as ‚pending‘ status. After this state, customer can choose to pay online or pay offline. 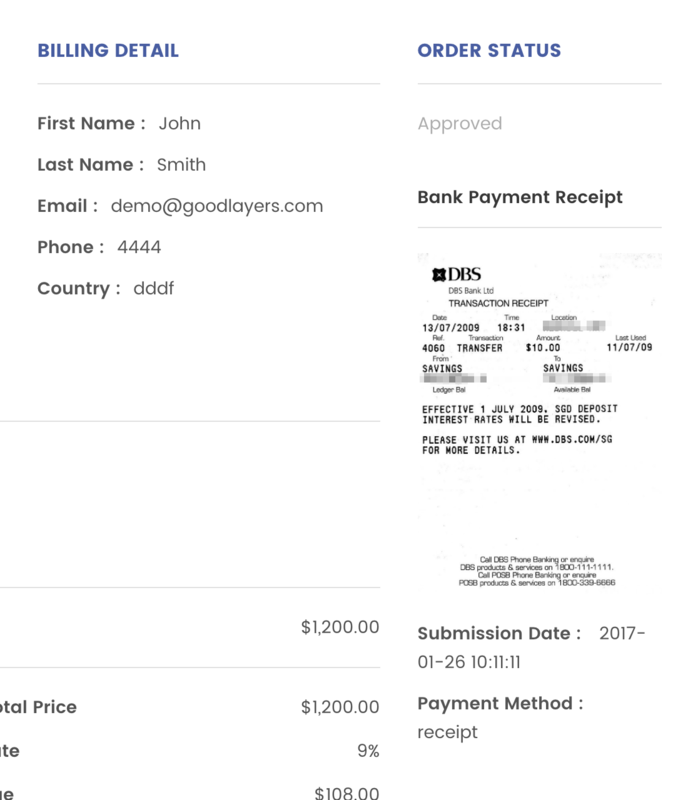 After clicking on the ‚Book and pay later‘ button, customer will be able to see the transaction in the backend. There’re two buttons, Submit Payment Receipt and Make An Online Payment.